An overnight tour to enjoy Yatsugatake Plateau from spring to summer. 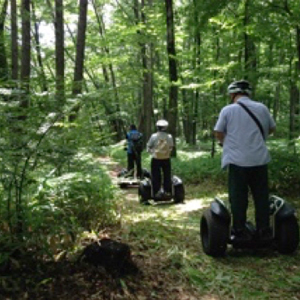 Why don’t you have an eco-friendly outdoor experience by SEGWAY or kayak? 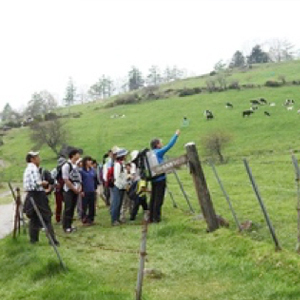 A guided walking tour to the stock farms at the bottom of Mt. 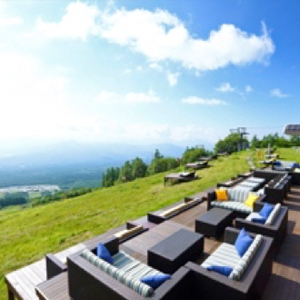 Yatsugatake is offered for you to enjoy the majestic panoramic view of the mountains around. Enjoy strolling around the garden designed by Paul Smither and locally brewed beer made with tasty water from Mt. Yatsugatake. Lovely shops, a carousel and a music box museum are also located inside the facility. 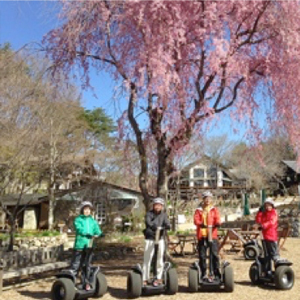 "SEGWAY Park & Ride" is a program inside Moegi no Mura, leisurely going through the paths in the forest to enjoy the seasonal beauty. Once in a while the guests dismount from the SEGWAY for a special view or observing local flowers. Enjoy kayaking on the pond at 1,500m above sea level in the middle of Mt. Yatsugatake. Relax and float for a while on the surface of the snow water, spring water and rain water from the mountain, watching the reflection of the white clouds. After a short lecture from the guide for safety, you can paddle on your own. Sun Meadows Kiyosato Skiing Ground & Highland Park lets you experience a real mountain resort. While the field is green, you can go up as high as 1,900m above sea level with a lift and enjoy a magnificent panoramic view of mountains including Mt. Fuji below you. This walking course covers all the highlights of Kiyosato Plateau, letting you enjoy the vast area of the base of Mt. Yatsugatake. Nothing interrupts your sight to see Mt. Fuji in the south, the Minami Alps mountain range in the west, Oku Chichibu in the east and Yatsugatake in the north. There are cows and cattle grazing in the pasture in summer, whose appearance makes you feel relaxed. You can also observe seasonal plants. Why don't you enjoy to the full the nature of Mt. Yatsugatake with a local guide? 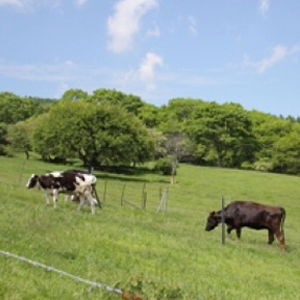 This farm aims to grow and secure cattle in Yamanashi prefecture for the stable development of local stock farming. It also strives to offer a relaxing field for the citizens through communication with animals to promote the public understanding towards stock farming. 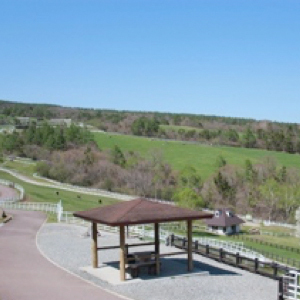 Yamanashi Prefectural Makiba Park is located at the southern base of Mt. Yatsugatake, being a part of Prefectural Yatsugatake Stock Farm. You can enjoy watching the magnificent panoramic view of the mountains around and petting animals in the vast green of the farm. At the attached restaurant you can enjoy a generous hamburger, or meats from local brand beef and pork. Temperatures are often cool throughout the year, so please come prepared with a fleece or sweater against the cold, as well as rain wear. A hat with a peak, gloves, and sturdy shoes are also recommended. Available for rent at an additional fee: rain wear, trekking shoes, trekking poles, day pack. If you intend to bring a pet (i.e dog) please contact us in advance. Dogs will need to be kept on a lead, and care should be taken to ensure they do not cause a nuisance to other guests or wild animals. The tours will often go ahead if it is raining, but may be called off if the weather gets too bad.